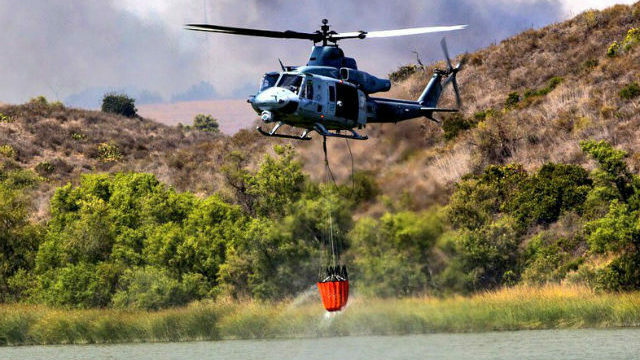 Three separate brush fires at Camp Pendleton had scorched more than 1,800 acres late Saturday as officials lifted some evacuations. One fire, referred to as the Vandergrift Incident, broke out around 11:30 a.m. Friday in the Mainside area of the base. It had burned 560 acres and was 70 percent contained Saturday afternoon, according to a statement by the base. 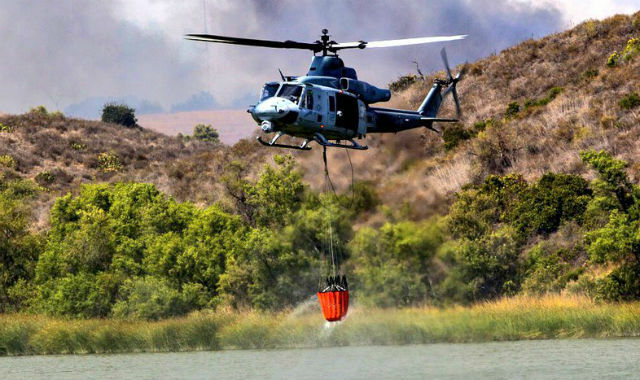 The second fire, known as the Horno Incident, was reported as 50 acres at about 7 p.m. Friday but had quickly spread to more than 1,200 acres Saturday. It was 30 percent contained at the end of the day, officials said. Basilone Road was shut down from 43 Area in the center of the base to the 52 Area to the north as a result of that fire. And a third incident, burning in impact area Range 409, had blackened 40 acres and was being monitored, but was not considered a threat. Evacuations were ordered for Lake O’Neill Recreational Park, the Naval Criminal Investigative Service building, the O’Neill Heights housing community, DeLuz Family Housing and DeLuz Child Development Center on Friday, and evacuees were directed to the Paige Field House. Around 750 homes had been evacuated around by 3 p.m. Friday. By 10 p.m., Camp Pendleton tweeted that three specific areas — O’Neill Heights housing, Wounded Warrior regiment and 27 Area barracks — were cleared to be reopened. The base also tweeted around 4:30 a.m. Saturday that De Luz housing was cleared to be reopened, but De Luz Road remained closed near Vandergrift Boulevard. It was unclear how many homes remained evacuated. Smoke from the fires was cloaking parts of southern Orange County, prompting the Orange County fire officials to tweet Saturday morning that the fires posed no threat to San Clemente.